The Jackson Fire Department is in the process of constructing an important safety training tool for our community, the Life Safety House. The simulator, located on Conalco Drive, consists of three different rooms and will give community members tips and information on properly handling threatening situations in the home. As guests walk into the converted trailer, they will see a classroom where the instructors can give school groups a presentation on safety in the event of fire or natural disaster. The first simulation room is set up like a kitchen, complete with cabinets, a refrigerator, and a special range that simulates an oven and grease fire. The fire extinguisher located on the wall will emit a laser, which will stop the simulated fire and smoke during the demonstration. The instructors will also walk guests through the proper steps to put out the fire. The next room is a model living area with a television, fireplace, and window. 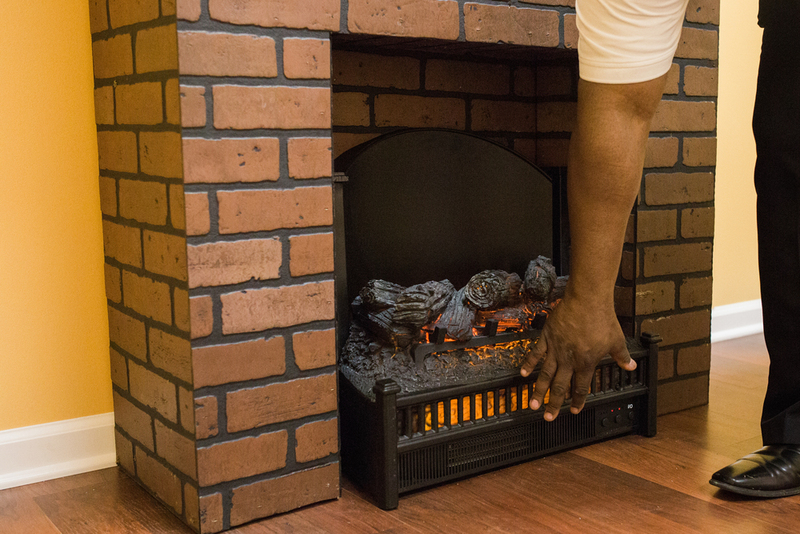 The instructors will give guidelines for using a fire place and preventing the spread of fire. The room also simulates a natural disaster, specifically a hurricane, for which preparation is similar to a tornado. Guests will see the television go from a playful Popeye cartoon to the weather alert and will be given a wealth of advice on preparing for a storm. The room simulates lightening and a power outage as well as the loud sounds you hear as a storm blows past your home. Finally the instructors will take guests to a bedroom where they will demonstrate what to do if you wake up to find smoke coming under your door. 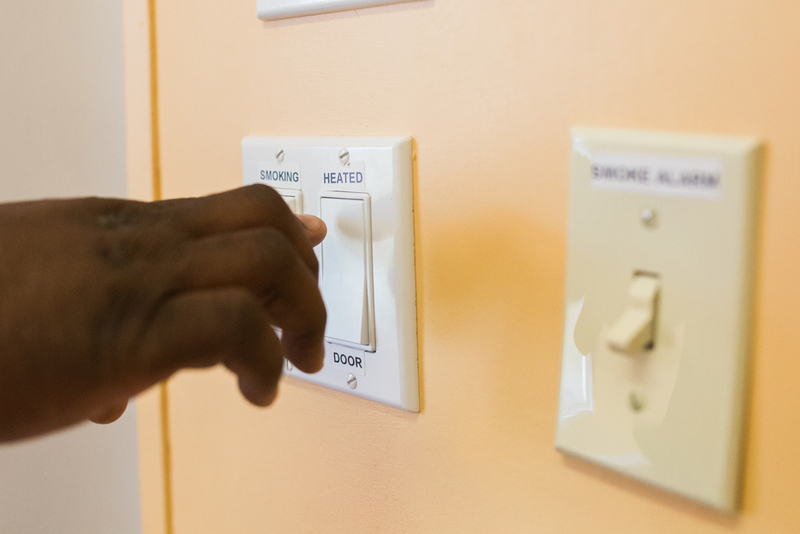 They are able to easily turn the smoke alarm on and off as well as heat up the door. 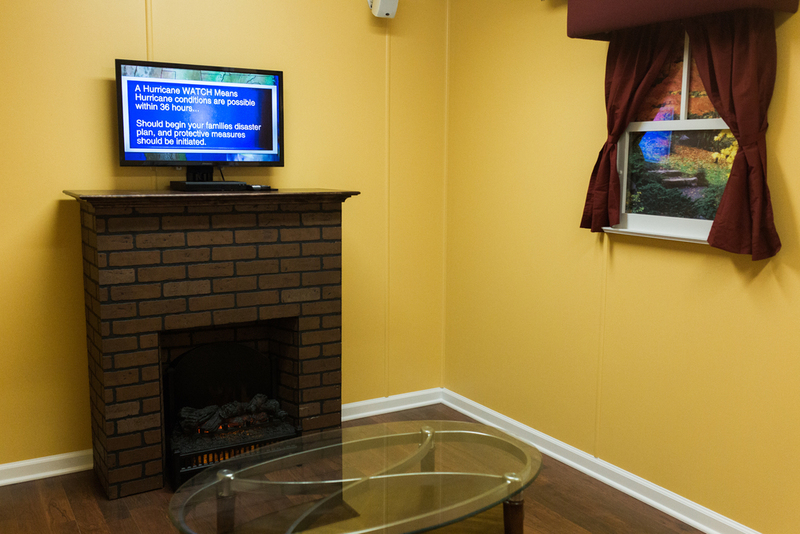 The Life Safety House provides an incredible amount of information that is especially important for children to know at a young age. The city encourages schools to arrange field trips so that children will have the opportunity to learn vital safety information from professionals. 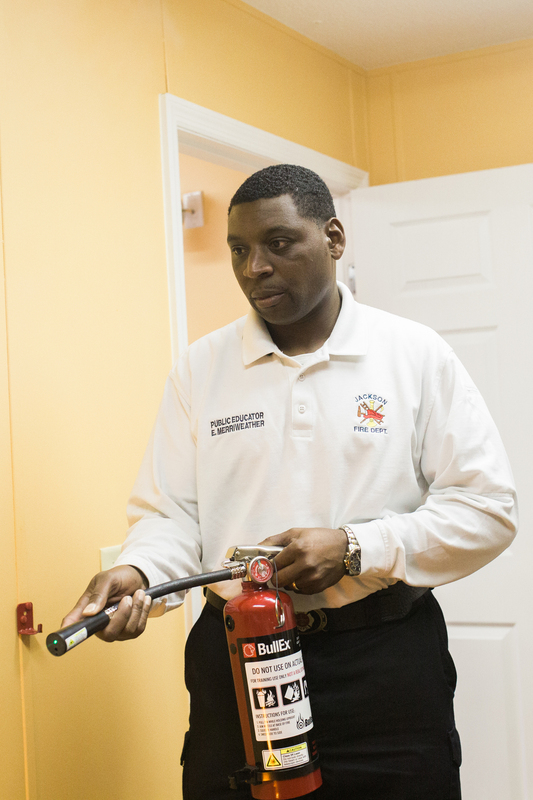 If anyone would like to schedule a tour of the Life Safety House, contact the Jackson Fire Department at 731.425.8350 and ask to speak with someone in the Public Education Division. We will update our story as soon as the Life Safety House is completed and ready for tour groups. To learn more about the Jackson Fire Department, visit their website.